Life science companies, above all else, have one thing in common – regulatory compliance. Every one of the companies in the industry must comply with ISO and FDA requirements in order to stay in business. And these requirements are here for a very important reason - to protect the patients and consumers while ensuring the quality of products created. With that in mind, we at Intellect have prepared a list of items your quality team should know about regarding ISO and FDA Requirements. Collaboration between teams that are not already connected in traditional means is often overlooked. However, established collaboration between different groups can only provide a productive workflow. You can achieve this with an integrated platform that will connect key team stakeholders thus creating efficiency for the entire company. With so much regulation, companies often end up mistaking quality with compliance. Even if you follow all the requirements, that doesn’t mean that you’re making a high-quality product. Your company should always pay attention to compliance, but it should also keep quality assurance separate to ensure that both items get the proper attention to detail that is imperative to product growth. Specific FDA rules as well as ISO 13485:2016 demand validation that ensures the software used in life science companies are operating the way it is purposed. When these systems are overly complicated, FDA and ISO will require more validation. You can avoid this with the use of a configurable, yet simple quality management system that will provide you with everything you need without bringing on more FDA and ISO validation. You certainly know that it’s vital for your company to be compliant, but that isn’t much unless you can prove it with appropriate documents. FDA and ISO requirements imply the existence of documented procedures which need to be followed. Lack of documentation is, in fact, one of the main reasons why a company like yours can get a warning letter from the FDA. Due to all the possible complications that can come from missing documents and errors, it’s always advisable to use a good document control software that will help keep everything organized and the entire process automated. The digital age implies the existence of modern IT infrastructure in many businesses. Unfortunately, there are still a lot of product manufacturing and life science companies still using manual processes utilizing excel or are still using teh traditional pen and paper. By using these outdated software tools that cannot keep up with the modern era and ISO/FDA requirements, your quality and compliance teams are working ten times harder and spending their time and resources on unnecessary manual tasks. 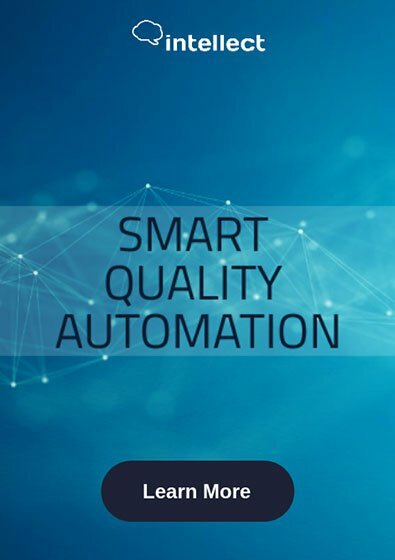 Using cloud-based automation software like Intellect, you and your entire compliance and quality teams will now be enabled to take all tasks and processes to the next level resulting in savings of time, money, energy and last but not least, your sanity.